Companies face a daunting challenge in the coming years and decades. Changes in customer expectations, availability of emerging technology, and extended global business activities make operations incredibly complex. Understanding how to design and manage complex logistics facilities and global supply chains is a key skill in virtually every industry. Amazon, a leader in supply chain innovation, recognizes the need for these skills and the importance of developing a demographically diverse leadership team. 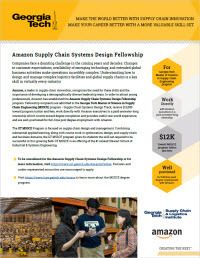 In order to attract young professionals, Amazon has established the Amazon Supply Chain Systems Design Fellowship program. 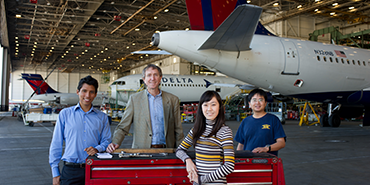 Applicants must apply and be accepted into the Georgia Tech Master of Science in Supply Chain Engineering (MSCCE) program - Supply Chain Systems Design Track. 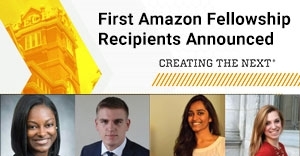 Chosen recipients receive $12,000 toward program tuition and fees, potentially work directly with Amazon executives in a paid semester-long internship which counts toward degree completion and provides useful real-world experience, and are well-positioned for full-time post degree employment with Amazon. 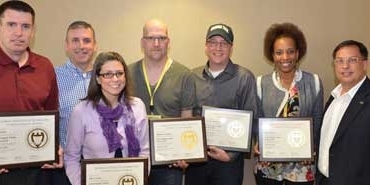 The GT MSSCE Program is focused on supply chain design and management. 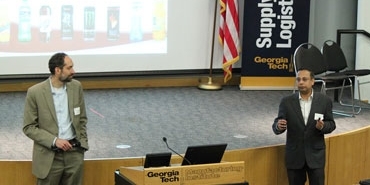 Combining substantial applied learning, along with course work in optimization, design, and supply chain and business domains, the GT MSSCE program gives its students the skill set required to be successful in this growing field. 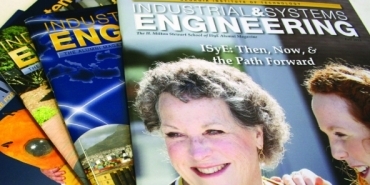 GT MSSCE is an offering of the #1 ranked Stewart School of Industrial & Systems Engineering. Please use the below form if you have questions or would like to apply for the Amazon Fellowship. Please type your questions or comments, below.